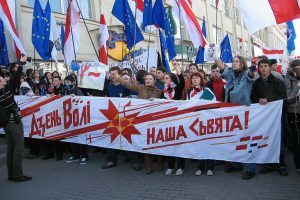 On 23 February Belarus and other post-Soviet countries celebrated the Day of Defenders of the Fatherland and the Day of Armed Forces. A minute of silence commemorates those who died defending their country. 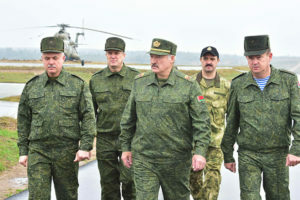 Siarhej Leskiec visited the defenders of Belarus’s border with Lithuania at Losha Border Guard Post in Astraviec region. Border troops also known as the Belarusian Green Berets have been considered the elite of the armed forces since the Soviet times. Lukashenka and both of his older sons served in the border guard, according to the president’s official biography. Border troops operate along most of Belarus’s perimeter, with the exception of the 959 km stretch of the border with Russia. One of the busiest sections is the border with Poland and Lithuania, due to the high rate of smuggling incidents. 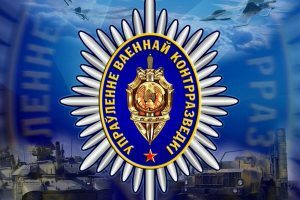 Following the escalation of the Ukrainian conflict, Belarus also strengthened border control on the Ukrainian side. On 17 February, a group of twenty individuals with horses attempted to illegally cross the border from the Ukrainian side. The border guards opened fire but the intruders escaped. The Belarusian-Lithuanian border was first established in 1990. Then the borderline split a few villages into two parts. For example, village Pickuny is situated in Ashmiany region of Belarus, but its second half, known as Norviliškės, lies on the Lithuanian side. The locals are still getting struggling the idea of the border in their village. The Losha Border Guard Post monitors a 30-kilometer stretch of the Belarusian-Lithuanian border in Astraviec region. Its barracks were built by the Union State of Russia and Belarus. “The Motherland’s Border is Sacred” says the big board in front of the border guard post. In continuation of a Soviet tradition, border guards are subordinate to the KGB. Other types of troops are subordinate to the Department of Defence. The guards protect the border round the clock. Some guards stay hidden watching the area, sometimes up to a few hours in one place, while others walk along the border. Border guards carry automatic guns, with 50 bullets each, as well as a pistols, handcuffs, night vision binoculars and radios. Service dogs help monitor the area. Border guards regularly take care of their weapons to make sure they are in proper working condition. As the guards change, they clean their weapons and surrender them into storage. Every guard post includes a room for “psychological relaxation” with a TV and a chessboard. In their spare time, servicemen can borrow books from the guard post’s own library. The border guards are off duty and are repairing their uniforms before they go to bed. 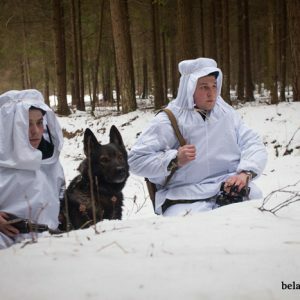 The Belarusian Army is based on the principle of territorial defence. Soldiers are expected to better defend the area where they come from. Conscription into the border guard follows a different logic. 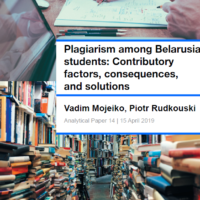 The Belarusian-Lithuanian border is protected by the servicemen from Mazyr and Mahiliou in order to minimise the temptations of locals to smuggle, accept bribes, or helping their relatives. 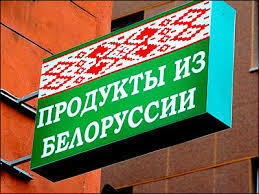 Border guards at the Losha Border Guard Post were all drafted from other parts of Belarus. Local contractors are hired only for cooking, dog handling, and driving. A Belarusian flag, accompanied by coat of arms, a framed diploma, and an orthodox icon adore the walls of this commander’s office. 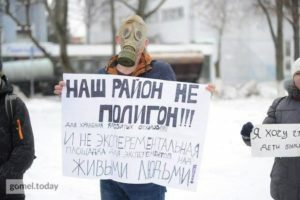 Belarus and Russian Food Embargo: a Success Story?